CMBD's tutors deliver a wide variety of open Management & Leadership programmes, bespoke in-house courses and a comprehensive choice of management, personal development & business workshops. These range from our flagship 6-day CMI Management & Leadership programmes to 1-day business and personal skills topics. CMBD provide a range of 3 and 6 day programmes for 'The Management Professionals of the Future'. The journey starts with the entry-level Team Leader Level 2 programme and provides an appropriate progression route up to the Masters Degree equivalence Level 7 Strategic Leadership course. 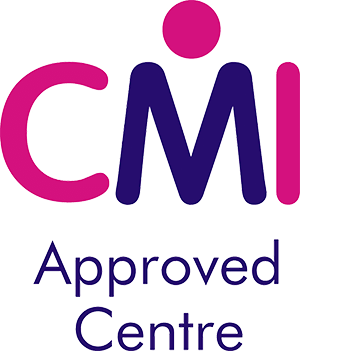 All programmes are available with optional qualifications from the CMI (Chartered Management Institute). The CMBD Business Improvement programmes and courses are an ideal way to improve profitability and efficiency at all levels of a business or organisation. Using practical hands-on projects in the workplace, substantial and sustainable improvements in productivity can be achieved. Options range from a one day course, up to three to six month programmes with optional City & Guilds qualifications at Level 2 and 3 in Business Improvement Techniques (BIT's). Every employee (not just the improvement ‘specialist’) has a role to play in business improvement and problem solving! It is a common misunderstanding that only manufacturing businesses benefit from lean techniques to improve efficiency and profitability. Untrue! this 3-day programme (spread over several weeks) will benefit all types of organisation regardless of the sector that they operate in. CMBD provide courses covering a range of business and management skills. The topics range from Project Management to HR and Recruitment skills. Leadership, teams and finance used to run a 'real' company. We don't call it 'Motor Manufacturing Mayhem' for nothing! Managers and leaders have to deal with people! These courses equip the delegates with the skills, knowledge and understanding to get the best out of both individuals and teams. An entertaining and hands-on look at the basics of leadership, team dynamics and motivation, with you as the focus! This CMBD course gives delegates the skills, knowledge and understanding to become effective in-house trainers. Hold engaging, transparent and ongoing conversations that are a partnership between all line managers and their people. Equalities & Diversity: A great place to work! Often an area outside of the 'comfort zone', an understanding of finance and accounting principles is essential for middle and senior managers with advancement in mind. Learn about finance by running a 'real' company. We don't call it 'Motor Manufacturing Mayhem' for nothing! Accountancy is more than just figures, understand some of the concepts you think you should know about, but don’t – yet! This section is for sales and marketing professionals wishing to maximise the opportunities in an increasingly competitive world as well as providing training for those who have to manage sales teams. Many people mistakenly think that marketing is just about advertising and promotion and are unsure about how find new customers. This practical course helps you to put together a workable marketing plan. Produce a robust Strategic Marketing Strategy for your organisation or business with guidance and help from fully qualified Marketing professionals. Define your goals, research your market and produce your plan. Good managers and leaders are in control and pro-active with regard to time management and presentation. Raise your game with powerful training designed to improve your personal effectiveness and resilience.